The Executive Director of the Niger State Primary Health Care Development Agency (SPCDA), Dr Yahaya Na’uzo, yesterday confirmed that 33 people had died from the Cerebro Spinal Meningitis (CSM) in Niger State out of 116 suspected cases recorded. Na’uzo told the News Agency of Nigeria (NAN) that nine persons died from the type C meningitis while the remaining 24 died of the type A and B since the outbreak of the disease. He said the disease was being contained in Magama, Agwara, Rijau, Kontagora Local Government Areas. “We now have fewer cases reported per day because communities have been sensitised to report to the nearest hospital as soon as they suspect any case of meningitis. “With this, more people have been coming and the situation has stabilised as no more high report of confirmed cases,” he said. 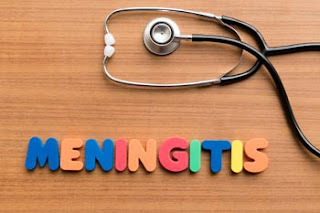 In another development, Nigeria received 500,000 doses of meningitis C containing vaccine to combat the epidemic in the country, according to the World Health Organisation (WHO).